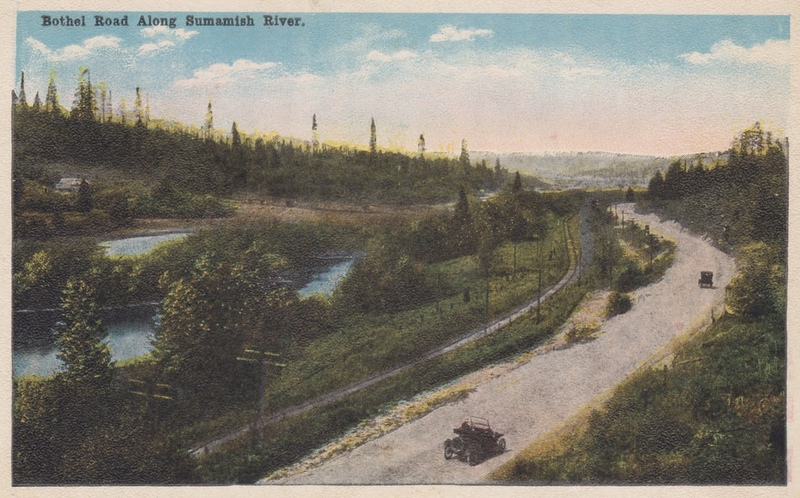 From approximately 1915, a postcard, a hand-coloured black-and-white photograph showing Bothell Way heading west into Kenmore – and a misspelled Sammamish River. It’s very unusual to see a photo of any kind looking west from that far east! 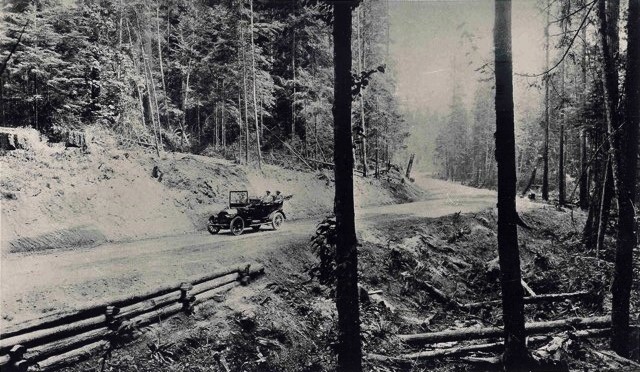 The rail line visible in the postcard is now Burke-Gilman Trail. 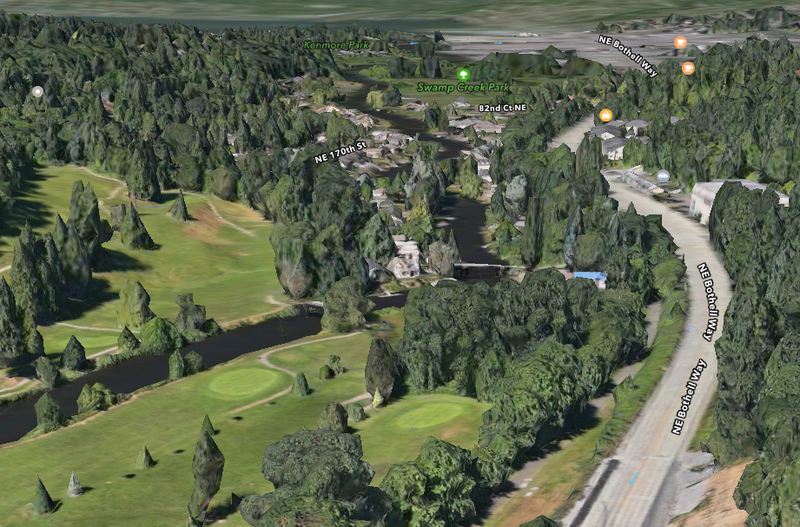 Below that, enjoy the same view – as best I could manage it – using Apple Maps. 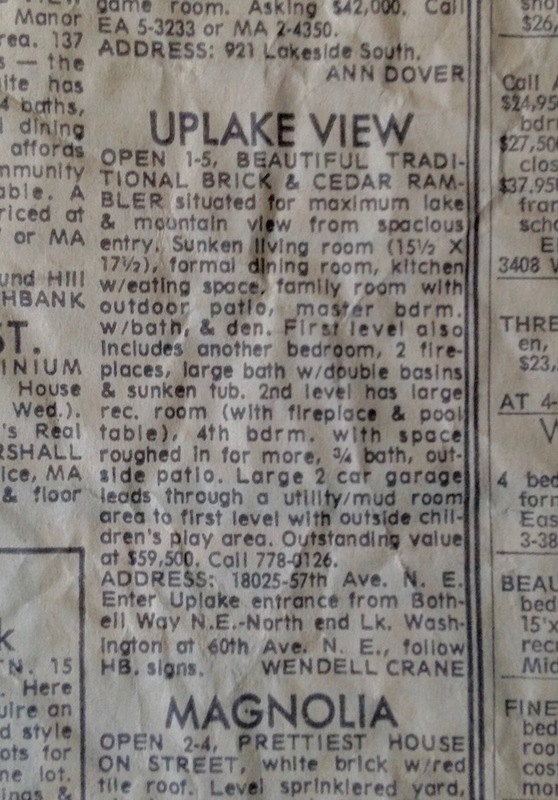 A little while ago, I bought a Japanese-made Korean doll which had been packaged away in 1971 – or so it appears, given that the copy of The Seattle Times used to pad it were from 1971 – and hey, look – an Uplake house for sale! Also another house elsewhere in Kenmore – this one doesn’t have an address. 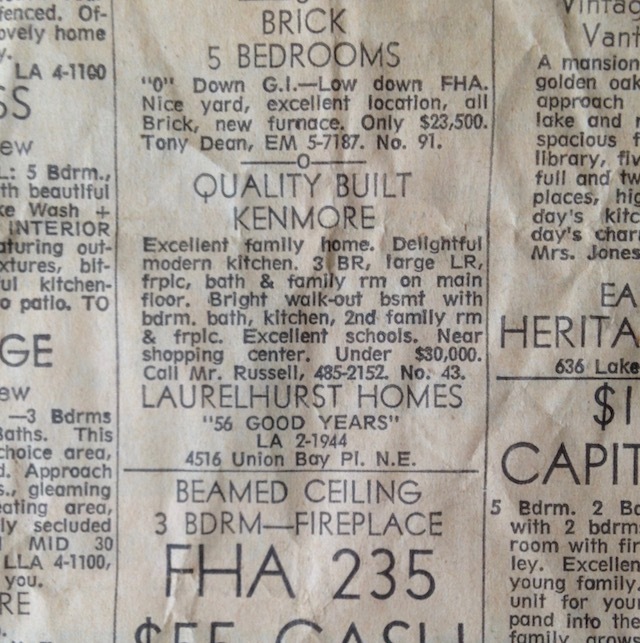 Both from the Sunday, July 18th, 1971 issue of The Seattle Times. A train from Seattle enters Kenmore, near 55th Avenue NE, in 1930. This photo shows business is brisk at L.F. Stetson Sr.’s general store in Lake Forest Park on a winter day in 1924. 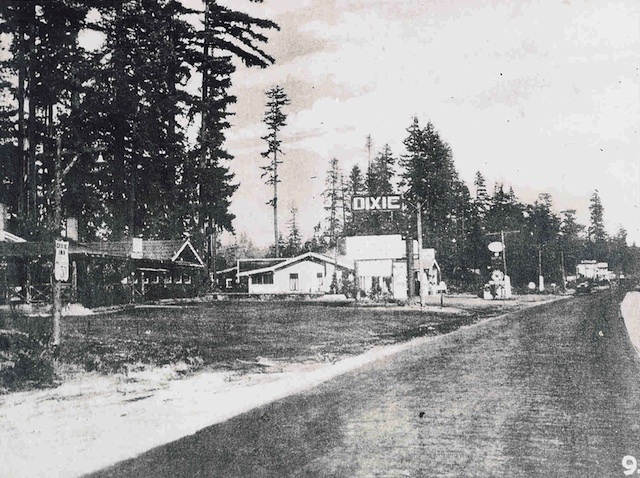 The store, located at the intersection of Victory Boulevard (Old Brick Road/Bothell Way/SR-522) and what will become Ballinger Way, was just west of what is now Kenmore city limits, and serviced customers in Lake Forest Park and Kenmore, on their way to Seattle. 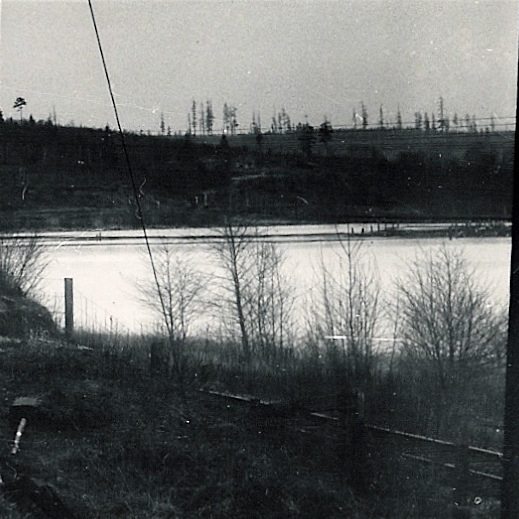 This photograph shows the Kenmore Log Boom in 1928, as seen from Victory Boulevard (the Old Brick Road, now Bothell Way/SR-522). This is now part of Log Boom Park. Tracks of the Seattle, Lake Shore and Eastern Railway, now Burke-Gilman Trail, can be seen in the foreground. 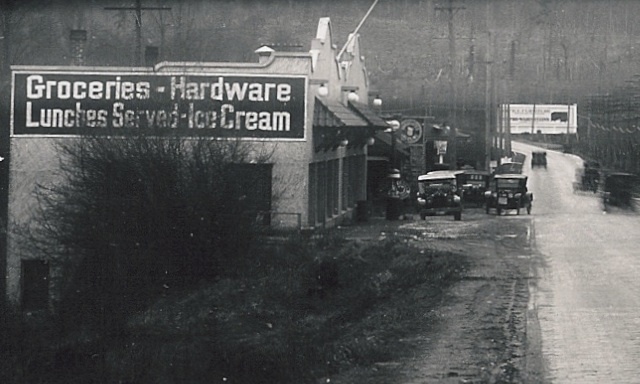 By this time, the Brick Road (now Bothell Way/SR-522) had been renamed Victory Boulevard after the Great War (now World War I). 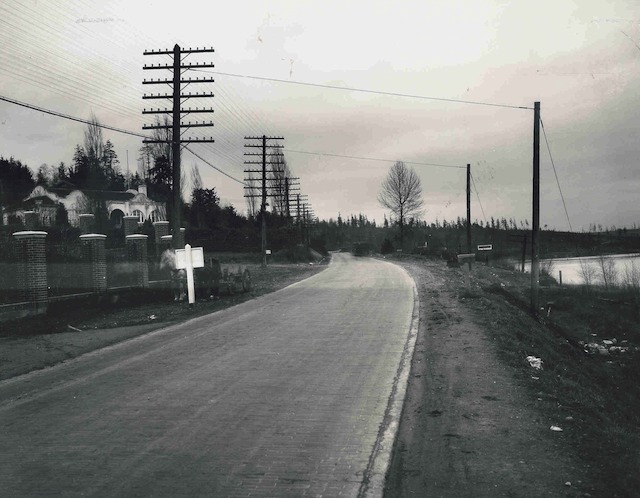 The curve in the road visible in the distance is in what is now Kenmore western city limits; Kenmore’s downtown, already present, is off camera to the right; if you look carefully, you can spot the gap in the trees marking Cat’s Whiskers Road (61st Avenue NE). Uplake would be laid out 25 years later, on the hill visible in photograph centre. 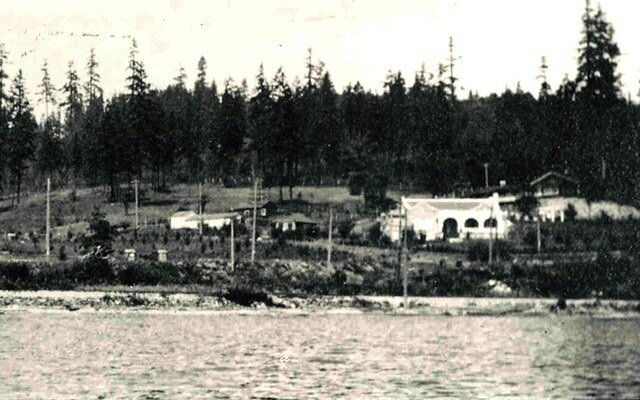 This 1915 photo of Lake Forest Park’s eastern houses shows the pre-lowering Lake Washington, along with the railroad which is now Burke-Gilman Trail, and Goat Trail Road heading off towards what is now Uplake, in Kenmore. Photo courtesy Shoreline Historical Museum. 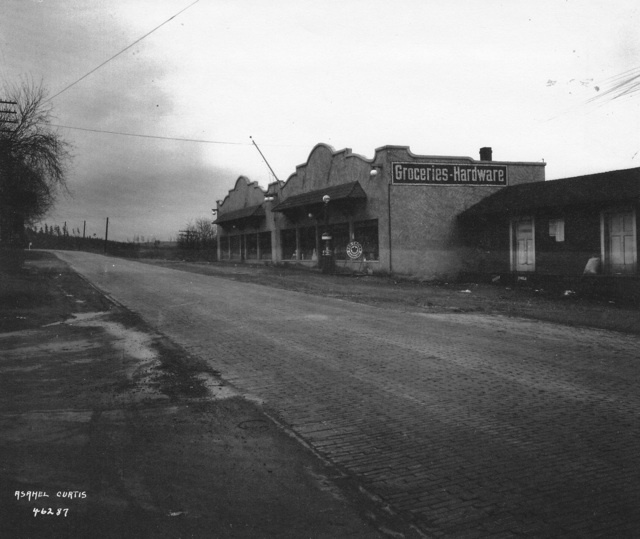 (Photo Asashel Curtis, 1924, of the Stetson store in Lake Forest Park.